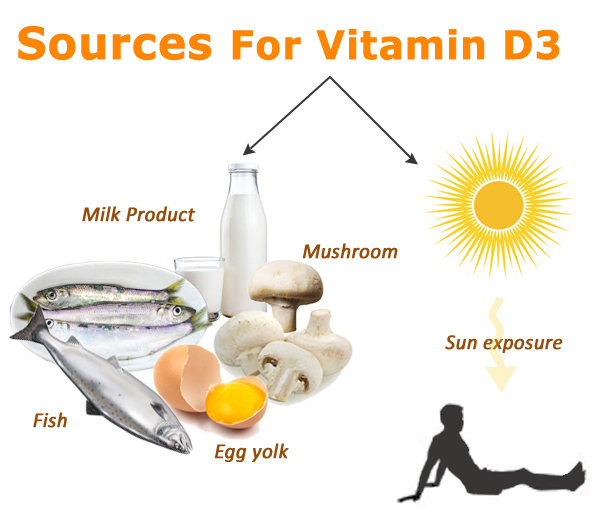 Vitamin D3 deficiency: Why Indians lack Vitamin D3 and how to get it? Vitamin D3 is also known as the sunshine Vitamin as it is primarily derived with the help of sunshine. It is also obtained from the dietary sources like fish, fish oils, egg yolks, fortified milk etc. It is observed that most of the people staying in India, who claim to be otherwise healthy, suffer from the Vitamin D3 deficiency. India is a country with plenty of sunshine almost throughout the year. Vitamin D3 is processed by the skin when it comes in contact with sunlight; still, almost every other Indian is suffering from Vitamin D3 deficiency. In a country like India where there is abundant sunshine no one should suffer from the Vitamin D3 deficiency but this is not true. The possible reasons behind it are discussed in this blog. Not utilizing the sunlight: Most of the people in India work within the closed doors of an office or they are homebound. This kind of work profiles prevents the people from having the enough exposure to sunlight. Excessive use of sunscreen lotions: People especially, girls and women apply layers of sunscreen lotions on the skin to save themselves from getting tanned due to harsh sunlight. Even though such people expose themselves to the sun, the skin cannot make Vitamin D3 out of it because the sunscreen acts as a barrier. Not taking a diet rich in Vitamin D: People who are taking vegetarian diet can suffer from Vitamin D3 deficiency because the dietary source of Vitamin D is mostly the non-vegetarian food items. Fortified milk is the source of Vitamin D provided it is pure and not adulterated. Multiple pregnancies: During pregnancy and breast feeding, body’s requirement for calcium and Vitamin D shoot up. It is observed that the diet of Indian women does not provide them the required amount of calcium and Vitamin D. Moreover, multiple and back to back pregnancies make the situation worse. Wheatish or dark complexion: The time required for darker people to make Vitamin D from exposure to sun is nearly 10 times more than the time taken by the people with lighter skin. Most of the people of India have Wheatish complexion so they need to spend more time under the sun than the people with white or paler complexion. People of certain religious background: People in certain religions are supposed to be covered entirely from head to toe. This prevents the exposure of the skin to the sunlight. This results in deficiency of Vitamin D3. Vitamin D3 is directly related to the bone health. Poor intake of Vitamin D3 results in softening of bones (Osteomalacia) and Osteopenia (low density of bones) which causes a variety of symptoms like back pain, joints pain, muscle weakness and whole body pain in the patient and fractures. A Recent study reveals that low levels of Vitamin D3 is also responsible for diseases like high blood pressure, diabetes, multiple sclerosis and even increased the risk of pre-eclampsia during pregnancy. Improving the levels of Vitamin D3 reduces the risk of developing cancers like colorectal cancer, prostate cancer by almost 30 to 50% because it plays a very important role in maintaining the cell growth. Thus, it is evident that most of the health related problems are directly or indirectly related to the deficiency of Vitamin D3. So, it is extremely important for everybody to fulfill the body’s requirement of Vitamin D3. How to know whether you are suffering from Vitamin D3 deficiency? Undergoing a simple blood test called Serum 25 – Hydroxy Vitamin D3 levels can give an idea whether a person is suffering from Vitamin D3 deficiency or not. What are the ways to correct the deficiency? Sun exposure: Expose yourself under the sun for at least 15 to 30 minutes daily. The best time for sun exposure is between 8 am to 10am. During this time the sunlight is not very harsh and one can easily tolerate the sun. While taking the sunlight one should not apply any sunscreen lotion or should not wear full sleeve clothes. There is no wonder that Vitamin D is also known as the sunshine Vitamin because it is the only Vitamin which can be manufactured by the body when the skin comes in contact with the sunlight. Diet: Include following food items in your daily diet. Fortified cereals, soy products, and tofu. Including fatty fish in the diet like herring, salmon, catfish, tuna etc. Mushroom is the only vegetable which is a natural source of Vitamin D.
not suffering from the deficiency of Vitamin D3. Supplement of Vitamin D3 can safely be taken if you are on homeopathic treatment. In fact, supplement o Vitamin D3 is a part of homeopathic treatment. I am suffering from vit D difficiency which is only 16 in blood test. Kindly let me know the homeopathic medecine for its treatment. Thank you for contacting Life Force Homeopathy. 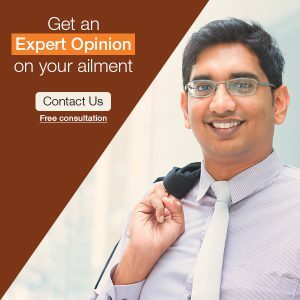 Please fill your contact information on https://www.askdrshah.com/contact-us.aspx and our team of expert doctors will get back to you. You can also give us a call on +91-22-66-888888. can i take vitamin d3 while on homeopathic treatment for hairloss?